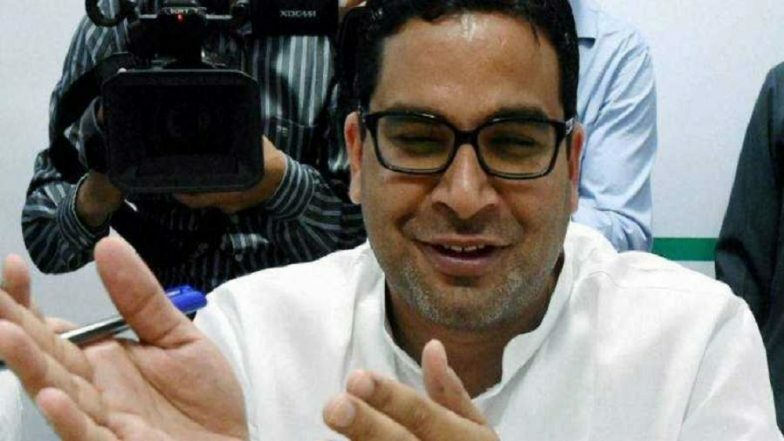 Patna, April 13: A war of words intensified between Janata Dal-United (JDU) vice president Prashant Kishor and Tejashwi Yadav, the de facto chief of the Rashtriya Janata Dal (RJD). Kishor took a sharp dig at RJD chief Lalu Prasad Yadav over the claims of Lalu’s wife Rabri Devi that the JDU leader offered a poll alliance with the RJD. In a tweet, Kishor invited Lalu to an open debate in front of the media. Prashant Kishor Meets Uddhav Thackeray, Shiv Sena Calls It Courtesy Meeting. Hitting back at Kishor, Tejashwi challenged Bihar Chief Minister Nitish Kumar to speak up on the controversy. “Why is Nitish maintaining silence? He should come out and speak. Prashant Kishor has been meeting us, it is written in Lalu's book also. Prashant should first take permission from Nitish and then tweet,” reported CNN News18 quoting Tejashwi as saying. Prashant Kishor Apologises After NDA Leaders Didn't Turn Up to Receive Soldier's Body. While replying to Kishor, The RJD in a tweet said that the JDU vice president should go to Modi-Nitish duo to sell stories. The party further added that our party chief has more experience than your age. There are so many politicians like you have who have come and gone. In 2015, RJD and JDU contested assembly elections in the state in alliance against the Bharatiya Janata Party (BJP). However, Nitish Kumar quit the coalition and joined hands with the BJP in 2017. Currently, The RJD has 80 seats in the assembly, while the Congress has 27 seats in the 243 member assembly. The JDU has 71 seats, and the saffron party has its MLAs on 53 seats.